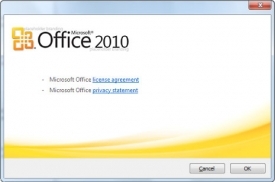 "Try out Microsoft Office Professional 2010 64 bits suite before anyone else"
Microsoft has made available the trial version of Microsoft Office Professional 2010 64 bits suite. With no doubt, this is one of the best office software available on the market. 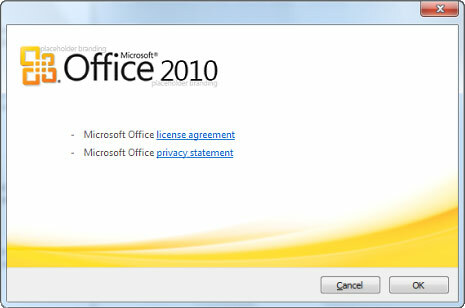 The Microsoft Office 2010 64 bits includes various improvements. Stands out the totally integrated interface with Windows 7 thanks to the ribbon interface that has been used since its 2007 version. Among other improvements in the usability of the Microsoft Office 2010 64 bits is the feature of previewing the text that we are going to paste so that we can check if it fits the document fine, also new translation tools, small Excel charts integrated with the text, groping of conversations in GMail style in Outlook, better video playback in PowerPoint and so on. Moreover, Microsoft Office 2010 64 bits consumes less computer resources comparing to its predecessor, what is appreciated in a continuous use of the application. This is a free trial version for 60 days for buying the licence afterwards.